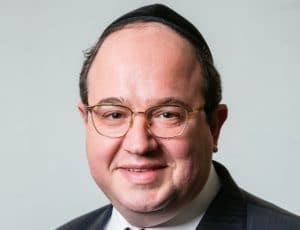 JERSEY CITY, NJ – Israel Schubert joined Meridian in 1996 and is a Senior Managing Director in charge of managing Meridian’s Iselin, NJ, Boca Raton, FL & Cleveland, OH offices. He previously managed the company’s office in Englewood Cliffs, NJ. Under Mr. Schubert’s direction, Meridian’s New Jersey office focuses primarily on serving borrowers in the New Jersey, Pennsylvania, Delaware and Maryland markets. As a long-standing and accomplished commercial real estate finance advisor, Mr. Schubert has consistently contributed to the financial accomplishments of the company and has personally negotiated more than $16 billion in financing over the course of his career. In anticipation of CapRE’s New Jersey Apartment Summit Thursday, we caught up with Schubert to learn more about the latest at Meridian and in the broader New Jersey multi-family arena. CapRE: Thanks for chatting with us today, Israel. Please share with our readers the kind of deals you’ve been keeping busy with in the past few months. Schubert: We’ve been very busy with primarily existing housing stock. We’ve successfully been able to refinance a number of leasing development deals that were pre-stabilization. Some that were still under construction. And that has been, I think, at least something unique to the market. Whereas in the past, you would build a building, you had to occupy it and maybe even wait until stabilization before you could lock in a good rate. But with everyone being concerned about interest rates, we’ve successfully closed on a number of deals before stabilization. At the same time, it is always a challenge, in New Jersey specifically, to get highly leveraged construction loans. Obviously, the local banks play a large role in the conventional stuff. But usually they’re tapping at the 60% or 65% range. A lot of the developers today are looking to ramp that up to the mid 80s. And we have been able to successfully do a number of deals like that as well. It’s all the more challenging of course and the guys who normally play in this world come from New York City and to get them a grasp of New Jersey has been work but we’ve been able to do it pretty consistently. CapRE: What are some of the most salient challenges you’ve been tackling in these deals? Schubert: Anytime you have to get someone to finance a deal based on projections, it’s more challenging. They have to believe in the story, believe in the developer, and believe in the market. That’s the reason why there are fewer and fewer players in the construction space and the development space in New Jersey. Multi-family. Frankly it is really only the tried and true historically successful developers that are getting aggressive financing. The banks really do a lot of due diligence on the market, as far as what’s available out there and as far as what the projections of expenses will be based on the comps. They will go up the capital stack but it needs to warrant it. So it’s always a battle and challenge of convincing those lenders who are in the space that they’ll be able to execute and exit with plenty of meat on the bone when the job Is built. In other words, they understand the construction side of things but it’s a challenge. They’re not typically sitting in Hoboken. These lenders are for the most part are not that knowledgeable of specific dynamics and demographics of particular towns in New Jersey. So there is a lot of heavy lifting that needs to go in first before you can even get them interested, and then we need to prove it out based on comps and previous successful jobs that have been built. CapRE: What are you most looking forward to about CapRE’s New Jersey Apartment Summit? Schubert: My specific panel is touching on liquidity and equity and the capital that is going into the space. I’m pretty familiar with the debt side of things and we obviously assist with the equity but I’m curious to hear about how other people are finding their efforts in raising capital for new deals and where they’re coming from. CapRE: How do you anticipate the next year to fare in New Jersey? Schubert: I continue to believe that we’ve seen only positive healthy growth in many sub-markets in New Jersey. It has consistently shown viability and a strong multi-family environment. As the economy continued to improve, those markets and the demand for better housing will continue to improve. The banks haven’t done anything stupid in my opinion. We don’t see, really, specifically in New Jersey, any cracks in the armor yet, as far as developers under distress. Things are continuing to be business as usual and everyone is doing what they pledged to do. The properties are getting built and for the most part they’re getting occupied in time and on pace with what was initially anticipated. CapRE: And what about for existing housing stock? Schubert: The existing housing stock is not being impacted. We’re not seeing that, just because someone builds a new building in Jersey City, the existing Jersey City housing stock fall in occupancy. And the same thing goes for Ft Lee and the other new markets, especially where you have developers building in secondary markets. the existing properties are not losing tenants to new development. So from where I sit, presuming that interest rates won’t really go crazy and impact us too badly, we really consider 2019 to be a big year with a lot of new deals being anticipated. It sure looks good for us and the New Jersey multi-family real estate market. CapRE: Indeed. Thanks for your time, Israel.